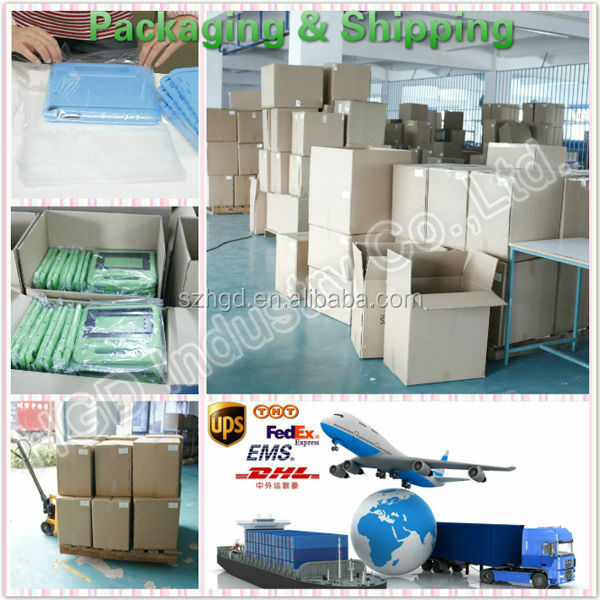 Package: OPP bags and inner fixture inside + carton outside or customized package. 1. 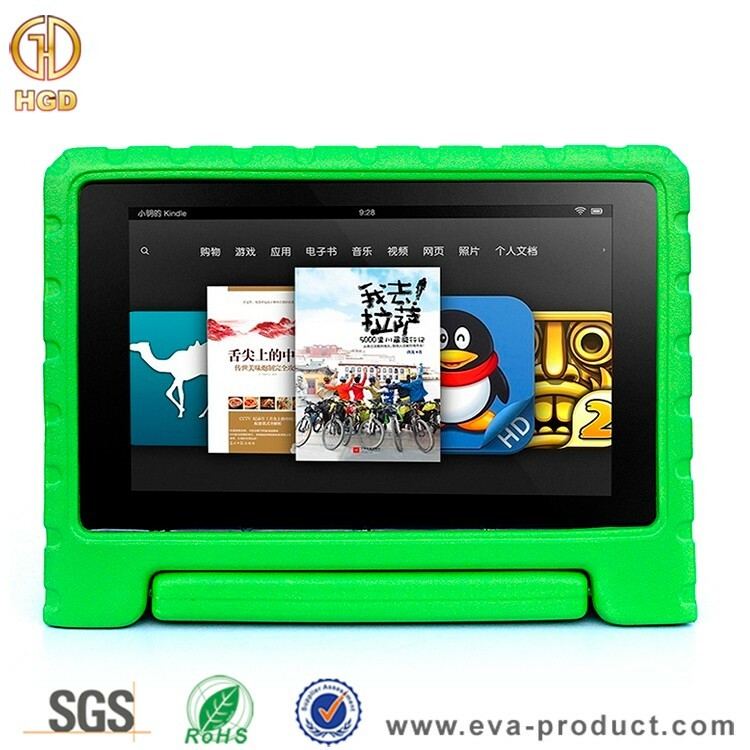 Compatible with Amazon Kindle Fire HD 10.1” Only, NOT compatible with any other Amazon Kindle tablets. 2. 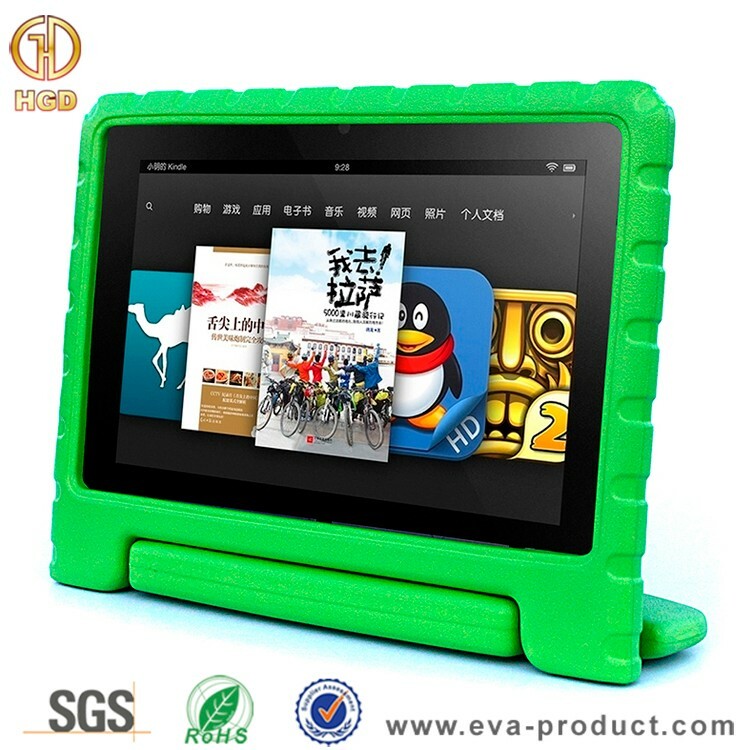 Made of high quality Non-Toxic dense EVA foam material with rugged frame surface. 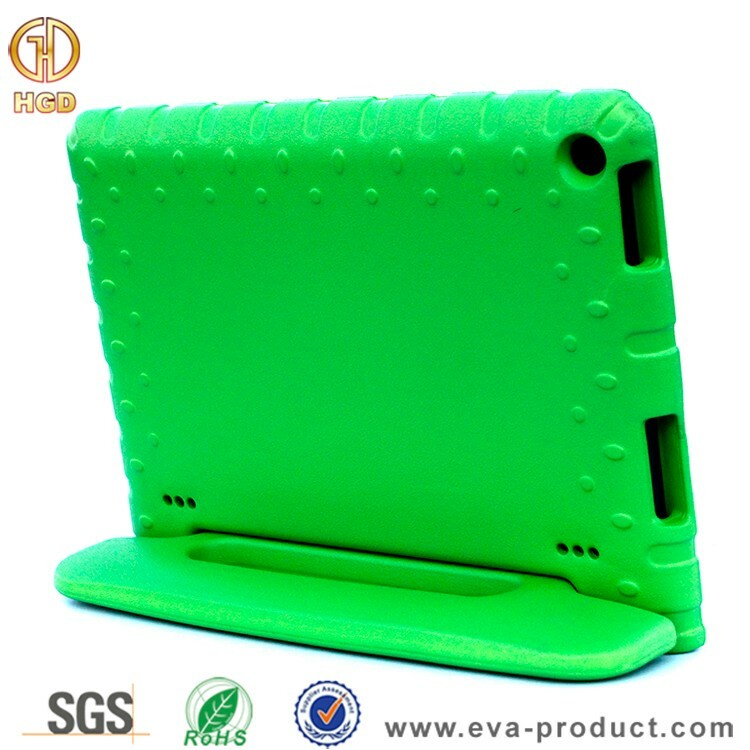 Provides extra shock-absorbing, dust-repelling, skid-proof, anti-fingerprints, and anti-scratch protection. 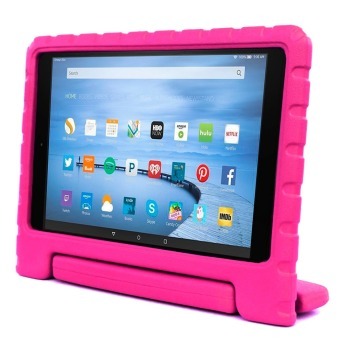 Flexible foam covers the back, frame, and extends over the screen. 3. 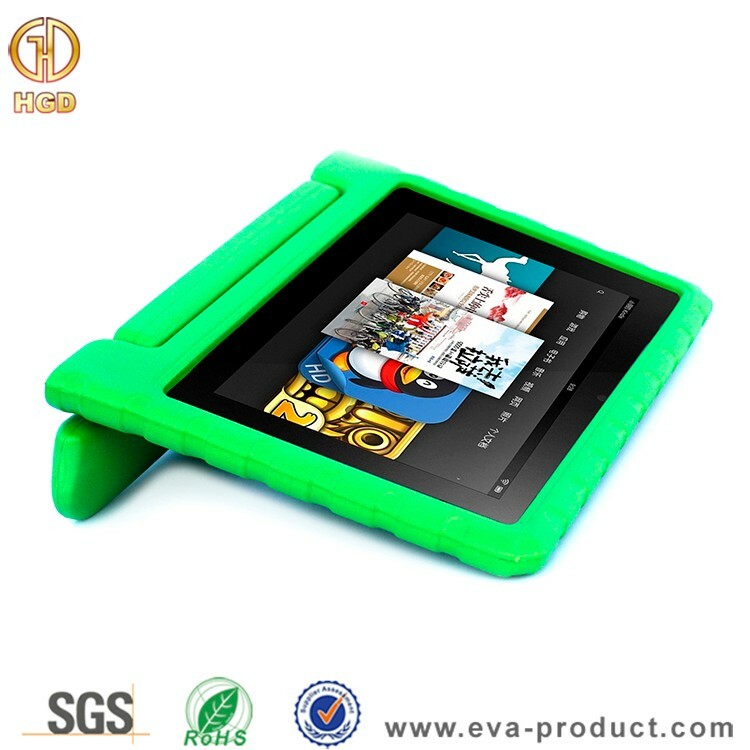 180 degree rotatable grip handle provides extra security, and can also be folded back into a stand for a horizontal viewing or typing position. 4. 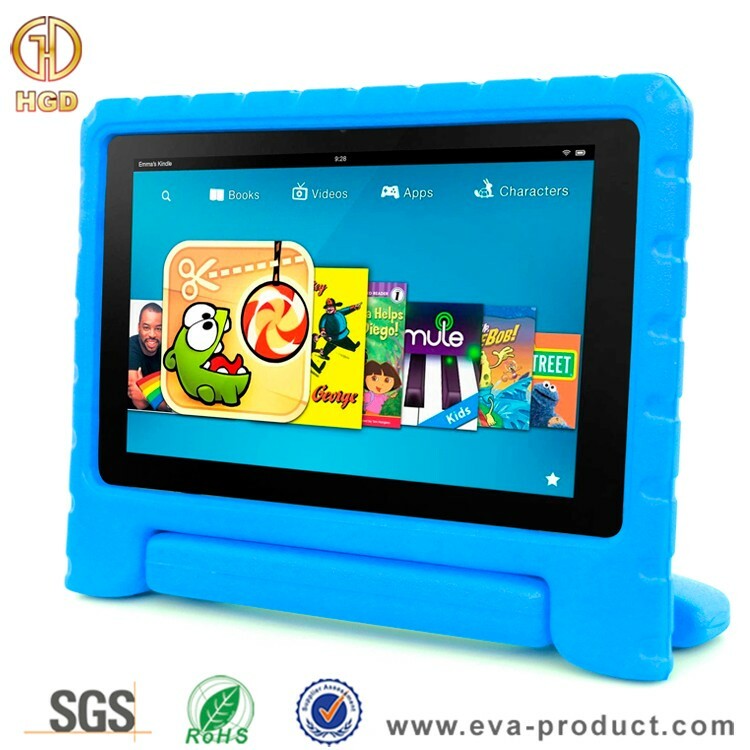 Full access to all ports, buttons, and cameras without the need to remove the case. 5. 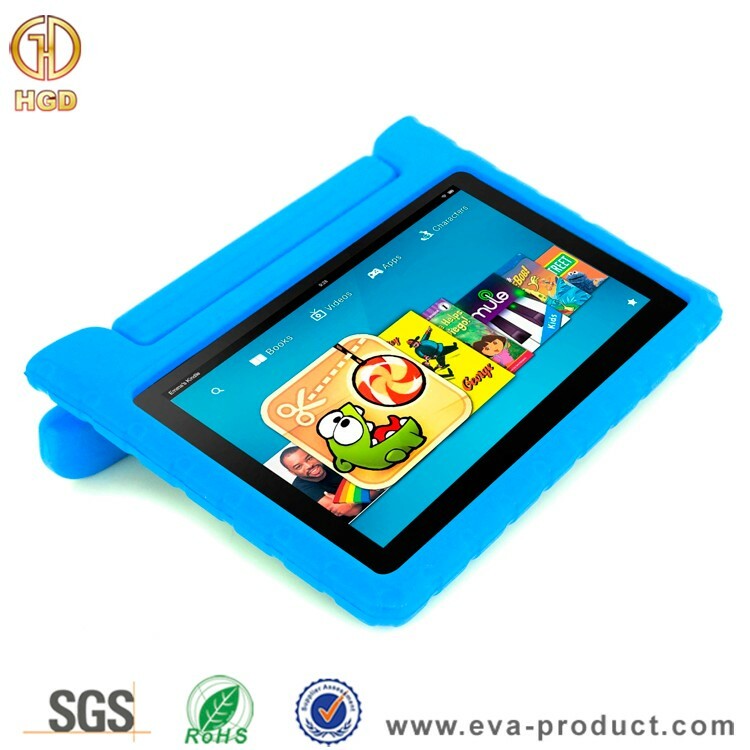 100% brand new, HGD Patented product, cover case only, tablet NOT included. 6. 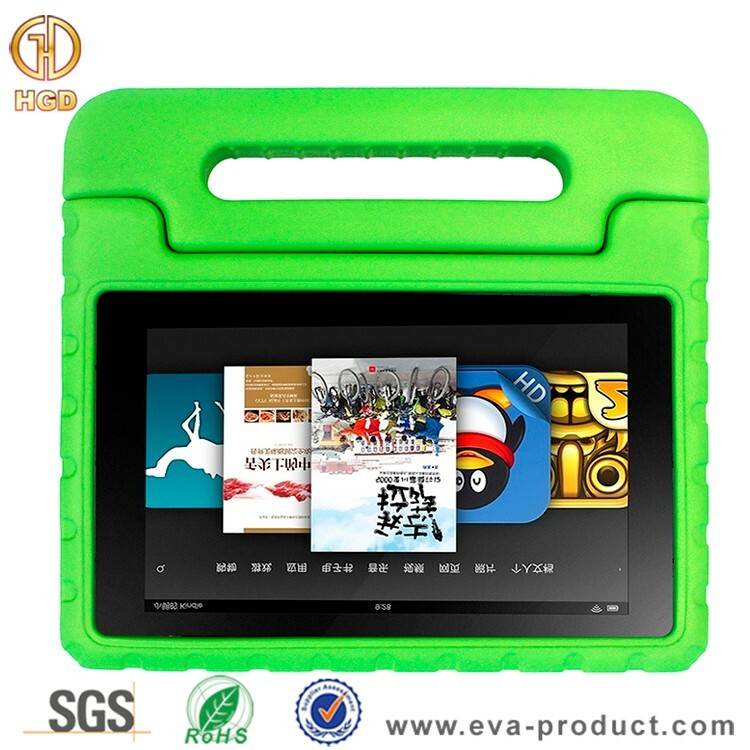 Installation: Remove the hard plastic board inside the case, insert tablet in to the case. 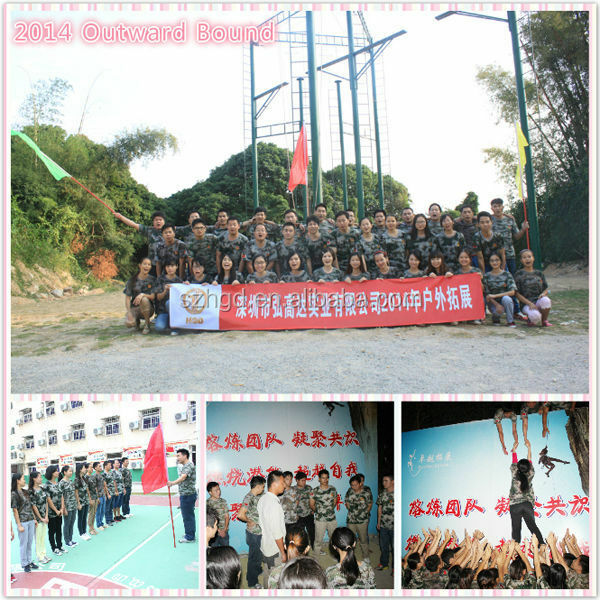 A: Both we are. 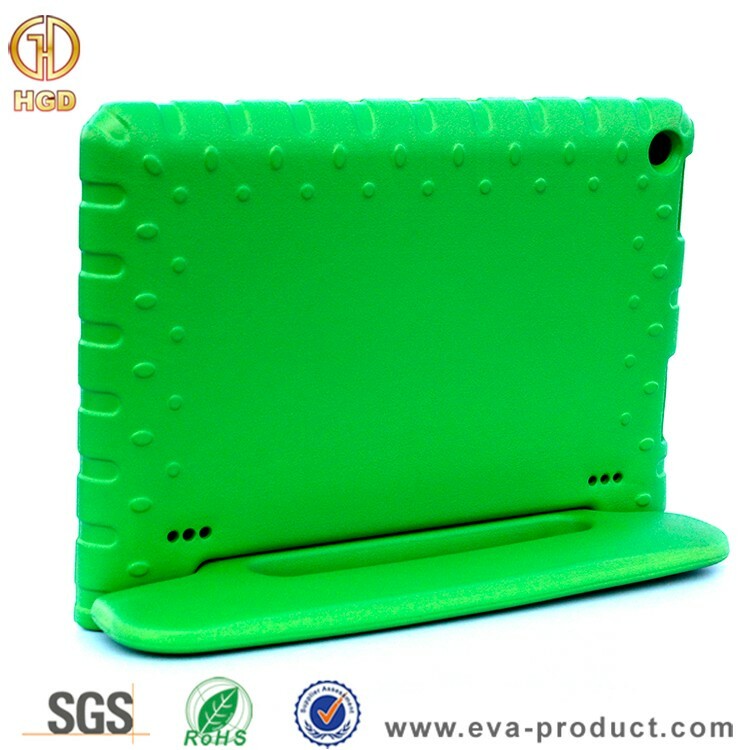 We are the first manufacturer in China to research and develop EVA foam protective cases for iPad and iPhone, and boast many patents of EVA foam protective case styles. 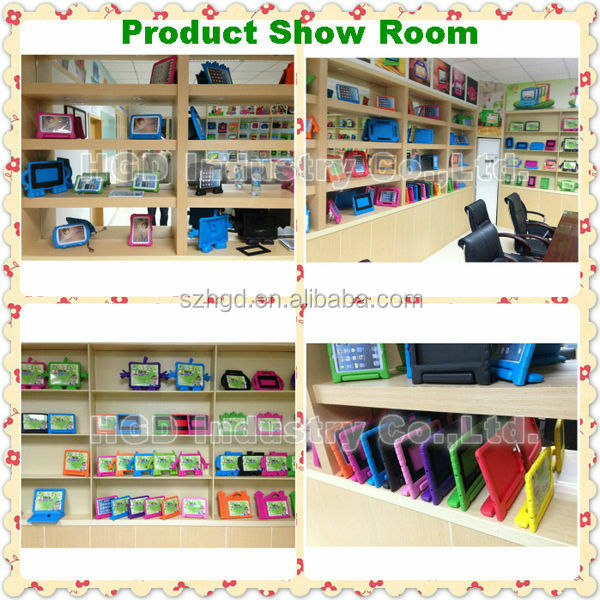 Our cases are widely used for Apple iPhone, iPad, Samsung, HTC and other brand mobile phones. 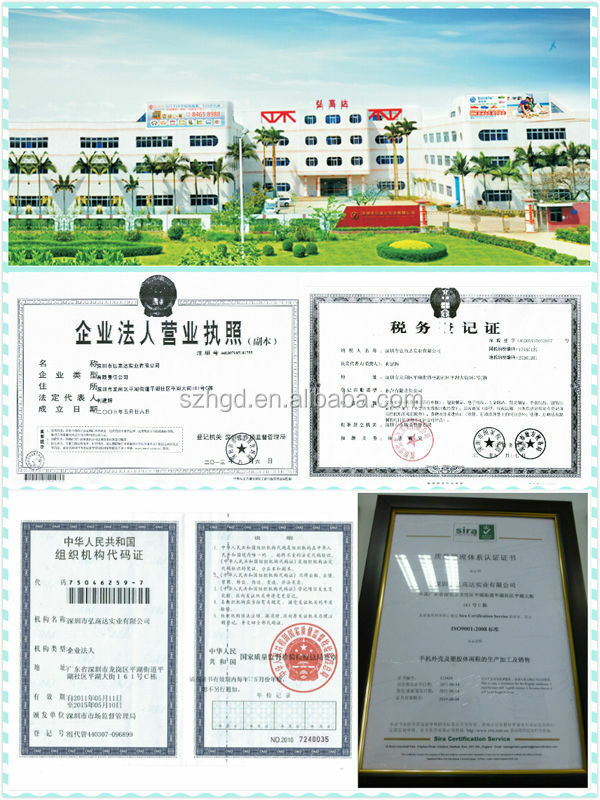 Our products enjoy a good reputation in both domestic market and Europe ,America and Asia market. 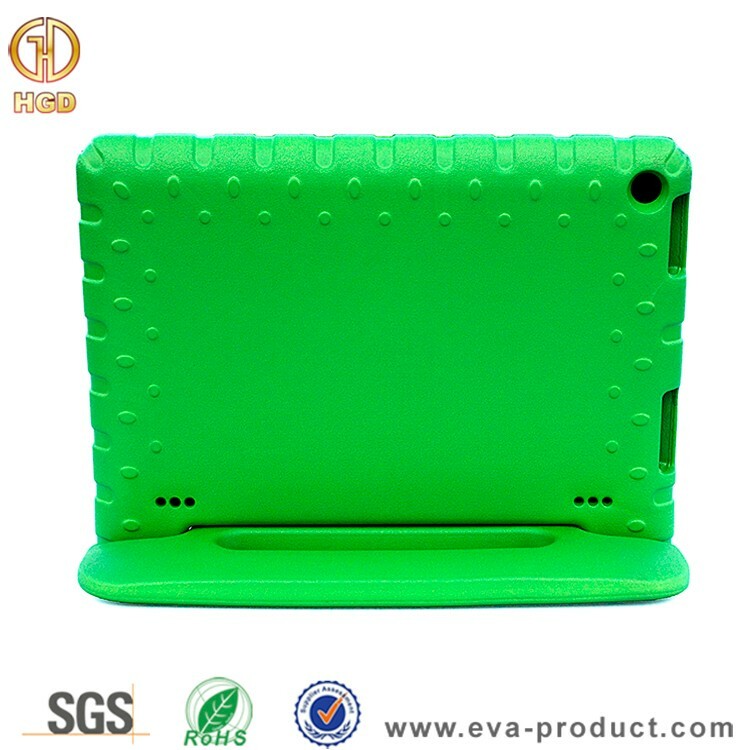 A: Yes, we can do the custom design case. 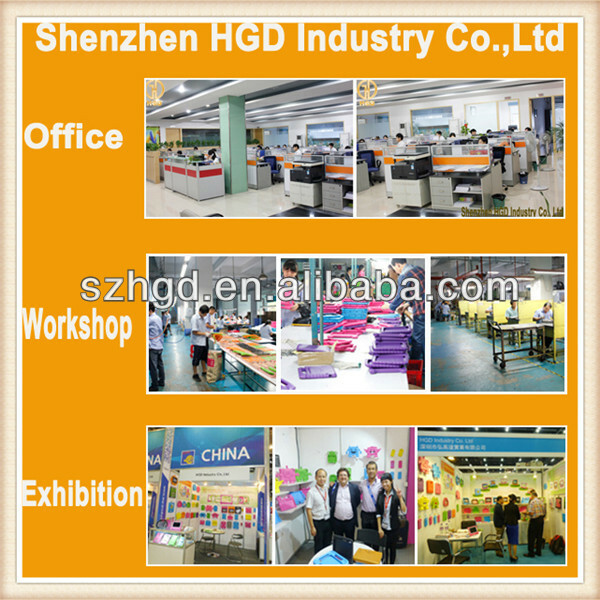 We have two kinds of printing, heat-pressing and screen printing for your choice. 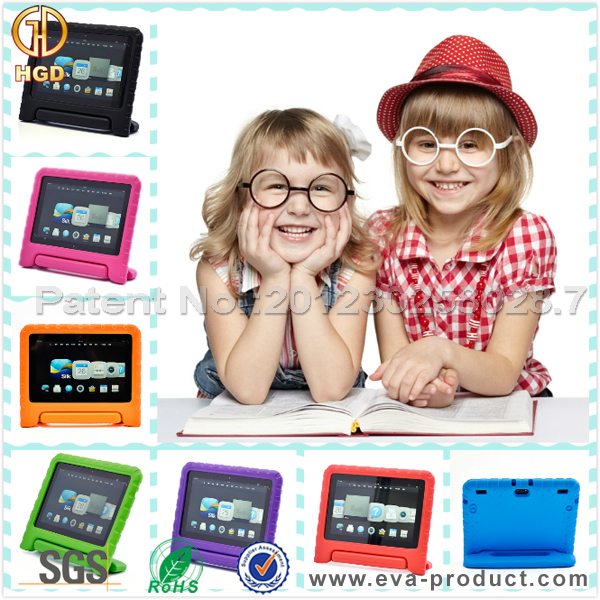 Step 1- Tell us your requires, such as : which models, Quantities,color & other special note.